There’s a rumour circulating that Fiat (specifically, Fiat Chrysler Automobiles, or FCA) will kill the Chrysler marque today. The range currently consists of two models: the ageing 300 and the relatively fresh Pacifica. Marques do disappear, but when the wrong ones get killed off, long-term it leaves the company in a weaker state. DaimlerChrysler found that out in the early 2000s when it decided Plymouth was surplus to requirements. Suddenly, its entry-level budget brand was gone—a very bad move when the recession hit later that decade. Plymouth had been conceived as a low-priced line that kept Chrysler afloat during the Depression. DaimlerChrysler then found itself having to sell Plymouth products under the Chrysler marque, which was traditionally the priciest between Plymouth, Dodge and Chrysler. Today’s Chrysler resembles, at least in market ambition, the one of old, where it offers reasonably good quality vehicles, with Plymouth a distant memory. It also offers Fiat a relatively premium brand in the US market. It’s not Jeep, Ram or Dodge, all of which have very different brands, messages and brand equity. The fact it is light on product could have been solved long ago if Fiat had adopted the sort of platform-sharing that is now commonplace in the car world—you only have to look at Volkswagen and the Renault–Nissan Alliance, now Renault Nissan Mitsubishi. Even Jaguar Land Rover is realizing economies of scale with Jaguar SUVs and a car-like Range Rover (the Velar). While Chrysler found that the 200 had flopped, there was always room for a premium, American SUV to take over from the Aspen, for example. If Jeep can build SUVs on Punto and Giulietta platforms, why couldn’t Chrysler, aimed at very different buyers? The truth is that Fiat has a very confusing platform strategy, something I alluded to in earlier posts both here and in Drivetribe, and there appear to be no signs of bringing any harmony to the mess. The firm hasn’t been properly merged, and not enough thought has been given to reducing platforms, and sharing them between marques. There’s more in common on this front between Fiat and British Leyland than between Fiat and Volkswagen, which it once vied with to be Europe’s number-one. The domestic range has cars on platforms shared with Ford, Chrysler and GM, not to mention OEM vehicles from Mazda, Mitsubishi and Peugeot. I might not love SUVs, but the public does, and the Fiat range is light on them. There’s not enough of a global effort, either: the Ottimo and Viaggio are Italian-styled, based on the Alfa Romeo Giulietta (or more specifically the Dodge Dart), and they are only sold in China—a ridiculous situation when Fiat doesn’t have a CD-segment saloon in any other market. The rationalization of the range in South America has helped, with the Argo and Cronos streamlining a confusing array of Palio, Linea, Siena and Grand Siena models, but they bear little resemblance to the models on offer in Europe. Lancia, which had benefited from Fiat platforms, is practically dead, its 500-based, Polish-made Ypsilon being deleted this year. As models at Lancia died out, they were not replaced. Yet things could have been so much better, had Fiat allowed Lancia the sort of freedom it needed to sell Italian luxury and innovation. Those values are different from Alfa Romeo’s, yet through its conduct, Fiat seems to think that if Alfa and Lancia have similar prices, then they must vie for similar buyers. They never did. It seems to believe that costs will be saved through axing marques and model lines, which can be true in some cases—but those cases tend to presume that what remains, or what replaces them, is stronger. I’m not being a Luddite or pining for the “good old days” when it comes to Chrysler. I hold no romantic notions for the brand. But I do know that once they’re gone, the firm doesn’t necessarily find its resources are freed up to pursue surviving lines. It finds that it’s lost a segment that it once fielded. It’s sadder to realize that Chrysler, as a group, was much stronger in the early 1990s, with record development times and good platform-sharing. Plymouth was in the process of developing its own identity—the PT Cruiser and Prowler heralded a new retromodern design language that was to spread throughout the range, while utilizing the same platforms as Chryslers and Dodges. Fiat itself, too, was a strong company at this same period, riding high on great styling, with a reinvigorated line-up. Think Bravo, Brava, Barchetta, Coupé Fiat, 456, Quattroporte, Delta, Dedra, Kappa, 145, 146, GTV and Spider. A lot of these vehicles were talked-about, and considered some of the most stylish in Europe. Last year, in Europe, luxury marques Mercedes-Benz, BMW and Audi all outsold Fiat, supposedly a mass-market brand. Its market share in Italy and Brazil, traditionally places where it was strong, has continued to dip. In the US, it’s the same story, with Mercedes-Benz, BMW and Audi all outselling Chrysler both last year and year-to-date. It’s all very romantic, and good press, to show off premium Alfa Romeos and Maseratis, or money-making Jeeps, but many of these models don’t donate any of their architecture to Fiat’s troubled brands. In 2018, when you see that certain Fiat marques aren’t getting access to platforms, you have to wonder why—especially when so many other big players don’t place such restrictions on their brands. A new 500 and Panda might be around the corner, but we’ll need to see far more logic applied to the business, especially with Alfa’s Mito and Giulietta looking more dated, Fiat’s range in a mess, and Chrysler barely making an effort in China, a market where its sort of positioning would have attracted luxury-conscious buyers who might prefer foreign brands, such as Buick. Even if Chrysler gets a stay of execution, Sergio Marchionne’s successor will have a very tough job ahead. 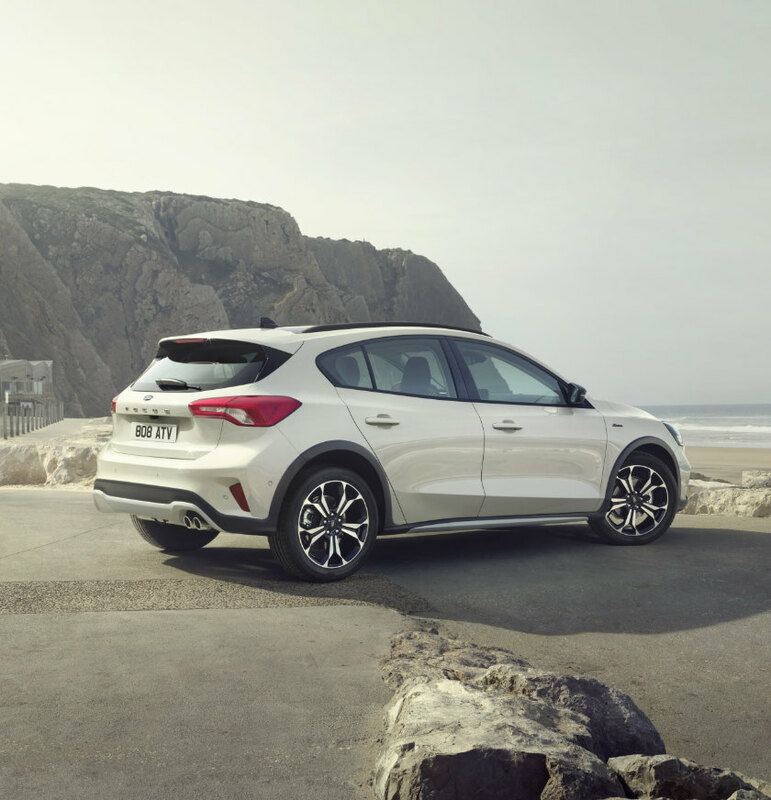 Above: The Opel Astra K: on the roster. I’m not so sure that GM going into talks to sell Opel and Vauxhall to PSA (Peugeot–Citroën) is that big a surprise. We obviously hold a lot of nostalgia for these brands, and it’s only right that we perceive GM as selling its family jewels. Opel has made some great cars over the years, and Buick in China and the US, Vauxhall in the UK, and Holden in Australia rely on this division to provide it with product. But it wasn’t long ago that I said I foresaw the next Holden Commodore being a four-door booted model based on a Chinese Buick Regal that’s on the same platform. While I’ve been proved wrong with scoop photos and inside information from journalists in the immediate term, longer-term this doesn’t look so far-fetched, in a future where Peugeot owns Opel–Vauxhall and GM has no choice but to consider Chinese sourcing seriously. Therefore, GM isn’t thinking that it’s selling off the family jewels, at least the GM where Chinese partner SAIC is overwhelmingly calling the shots. What they are thinking is this: ‘We should be able to develop the whole lot in China.’ They weren’t nostalgic over Holden, and they won’t be thrilled with the losses at Opel. It’s willing to sacrifice it to make its own position stronger. We’ve already seen that SAIC has called it quits when it comes to British assembly at Longbridge—that’s now all done back in China. There’s been such a massive technology transfer from the US to China over the last few years that Europe is seen as surplus by the folks in Shanghai. They have all the platforms on which they can make products globally. They may even, rightly or wrongly, think that the remaining brands can get them into Europe, even if GM had pulled its Korean-made Chevrolets out of there. Holden can be used to westernize the product and the Australians have shown they can do it well. I’m not saying I agree with this, as a long-time Opel fan. I was looking forward to the new Commodores coming out of Rüsselsheim. The car looks the business, it’s roughly the size of the recently deleted Ford Falcon (therefore, I’m not sure why people are so upset about its size), and the majority of buyers don’t even know which set of wheels the power’s going to. I’ve got an Astra K coming in a few months at Lucire. What you’re going to see is GM basically being a Shanghai-run firm with China supplying global markets and the US operations kept going for their brand cachet. In the meantime, a hypothetical PSA-run Opel will continue with the existing plans till the end of these models’ life cycles, then China will become the manufacturing hub for numerous markets. SAIC already makes a load of Cadillacs, Buicks and Chevrolets for the domestic market, and they’ll want to pump them out more widely. They’ve also shown that they can take new GM platforms and turn them into Roewes—or old GM platforms and turn them into Baojuns. PSA, meanwhile, with 14 per cent controlled by Chinese firm Dongfeng, will pursue a strategy of streamlining platforms and be focused more on Europe. It could pay off as cross-town rival Renault has done well with Nissan, Mitsubishi, Samsung, Dacia and AvtoVAZ, but it won’t nearly be as secure. The two French groups have been obsessed with one another for as long as I can remember, for years spending more time rivalling each other than actually coming up with what customers wanted. Dongfeng may have to cough up more lolly and it could become a larger shareholder than the Peugeot family or the French government. But will it have the sort of geographical coverage that Renault has? That’ll be what PSA will be asking itself, knowing that it’s reasonably strong in China—but also realizing that it hasn’t been clever at creating models that can be sold globally (the current Citroën C6, DS 5LS and the DS 6 among them, sold exclusively in China). Nevertheless, there are savings to be had, though the most obvious fear is that Opel and Vauxhall will go the way of Panhard and Talbot, brands that fell into either Peugeot or Citroën’s hands over the years and become defunct at the expense of the parent companies’. Is there a desire to extend the group’s brand portfolio beyond Peugeot, Citroën, DS, the various Dongfeng lines, and the ex-Hindustan Ambassador? The official statement is non-committal enough and gives nothing away: ‘PSA Group and General Motors confirm they are exploring numerous strategic initiatives aiming at improving profitability and operational efficiency, including a potential acquisition of Opel Vauxhall by PSA. In any case, we always said that SAIC was playing a long game. MG was a toe in the water. GM is the real deal. Controlling GM means they can do as they please, and what’s good for China is good for General Motors. Above: The Holden Commodore SS-V, facing its last year of manufacture. The current wisdom appears to be that when the Holden Commodore VF leaves production in 2017, it’ll be replaced by the liftback version of the Opel Insignia B. After all, the only big sedan Ford Australia’s offering in place of the now-defunct Falcon is the liftback version of the Mondeo, a car that’s wider, taller, and with a longer wheelbase than the supposedly larger Falcon. I think the crystal ball-gazers are wrong. I could say that the Australian and New Zealand big car buyer is very traditional and would balk at the idea of the big Holden being a hatch. But that’s not the only reason. There’s a bigger one: China. Above: GM currently makes the Opel Insignia A-based Buick Regal in China, after initially beginning with German production. At the moment, China makes a version of the Opel Insignia A locally, and it’s a four-door sedan with a traditional boot. They badge it as a Buick Regal, a nameplate that’s arguably got stronger goodwill in the Middle Kingdom than in the US, even if it’s been running Stateside since Kojak drove it on the streets of Manhattan. And the Chinese like their traditional sedans: it’s a market where liftbacks aren’t kosher. While Holden says the next Commodore will be sourced from Germany, and the media speculate that the Germans won’t get a four-door sedan, it’s not to say that one hasn’t been developed. And we’re not exactly missing precedent for a country to tool up for a body style that isn’t offered domestically. We need look no further than GM itself, which was selling the Opel Antara into Europe, exporting it from Korea, years before the same model was available domestically as a Daewoo. While Australia and New Zealand will account for quite tiny numbers, you have to think about where else a Stufenheck Opel Insignia B might sell. How about the Middle East, where it could complement the Chevrolet Malibu and Impala as a sportier counterpart? Or South Africa, which would also welcome right-hand drive? Could China take some as Regals in advance of SAIC–GM tooling up for its own version? It’s all conceivable. GM has switched sources mid-run before, and happily used the goodwill of German engineering when introducing a vehicle made with cheaper labour. 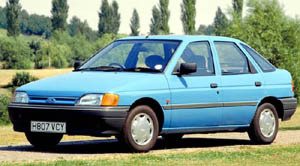 Forty years ago, after selling German Opels for years, it began selling the Opel Isuzu from Japan: it was the Isuzu Gemini, the Japanese counterpart to the Opel Kadett C world car. The following year, 1977, the Opel Isuzu became the Buick/Opel. The Japanese origins were eventually hidden. The 2008 Regal, meanwhile, was originally sourced from Germany until SAIC was ready with its locally made version. In this day and age, when global-market Renaults and Fords come from Turkey, Nissans and Suzukis from India, and Fiats and Volkswagens from México, no such name changes will be needed. If the quality is good enough, ‘made in China’ won’t be that strange a concept. No one seems to have much of an opinion, or a stereotype, over ‘made in Thailand’—yet we buy plenty of product from them. GM isn’t likely to sleepwalk into this transition as it did pre-GFC. Then, the company was ill-prepared, prepared to splash money around on different platforms. The leaner 2010s GM will want to grab every sale it can, and I don’t think Aussie or Kiwi buyers are going to flock to the showrooms for a Commodore hatch, even if it looks like a Porsche Panamera. They won’t necessarily care that the new model is a better handler, with powerful engines, better economy, a lighter weight, and a decent interior. They could notice that shoulder room has gone down a fraction. There’s a certain conservatism to this market, and the idea of a hatchback just might be too foreign for this group. And if they can supply it, with the Chinese Buick Regal waiting in the wings, then why not maximize sales? When the four-door Commodore débuts in Australia next year, after its début in Genève as the Opel Insignia, the General will again have one over arch-rival Ford when it comes to big cars.